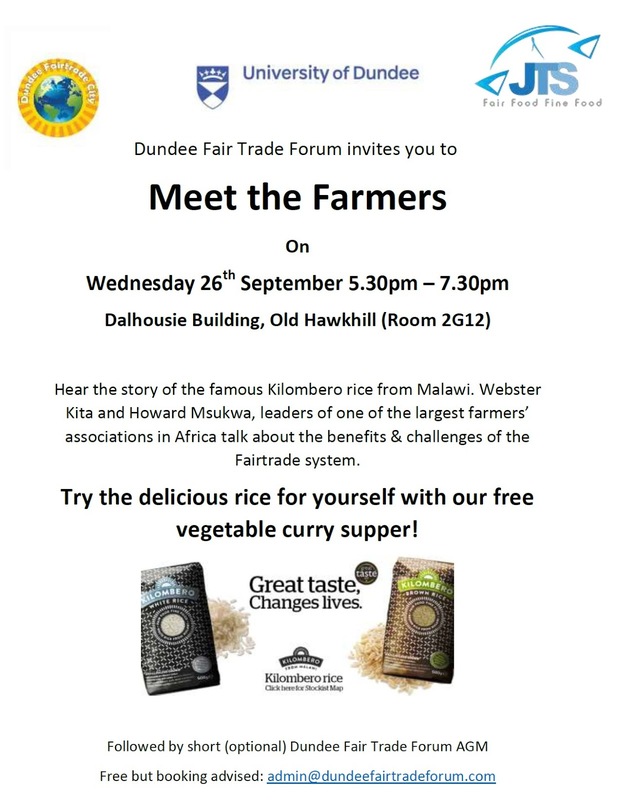 Meet the farmers – @DundeeFairtrade event – all welcome! 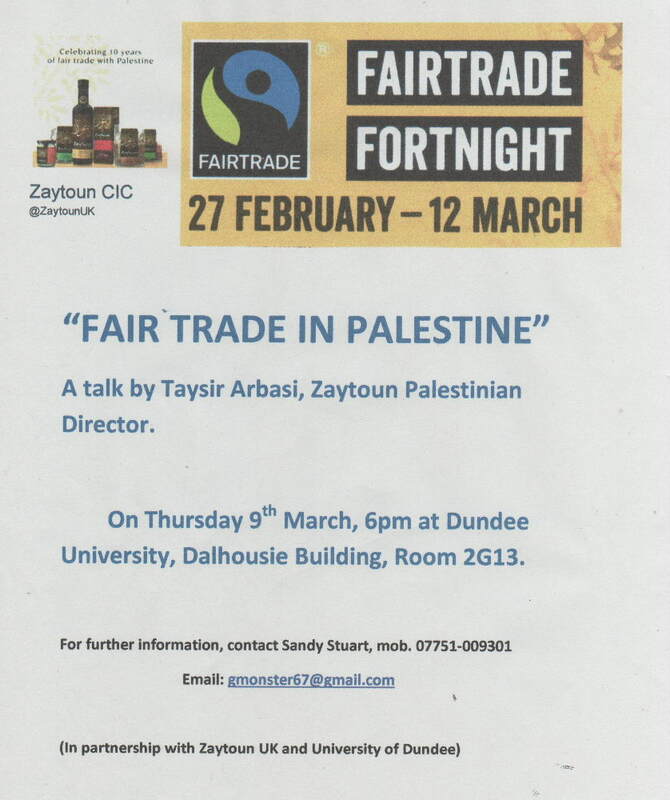 Scottish Fair Trade Nation Lecture 2018 – a reminder! 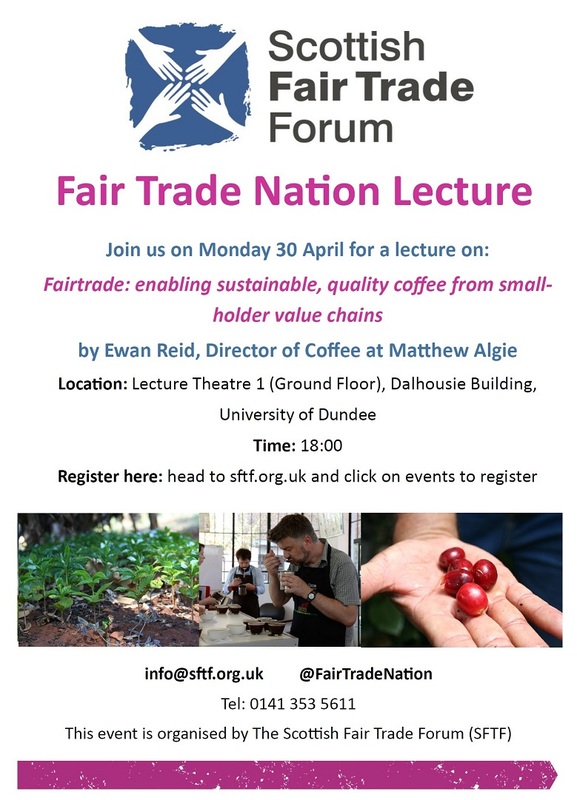 This year, Ewan Reid, Director of Coffee at Glasgow-based, Matthew Algie, one of the UK’s leading coffee roasters specialising in sustainable sourcing will be speaker. 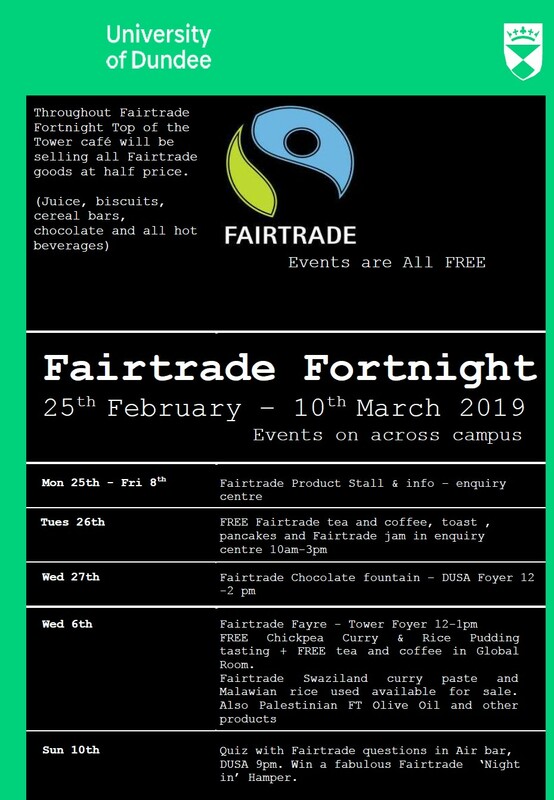 With a 20-year Fairtrade heritage starting with the UK’s first Fairtrade espresso in 1997, today nearly 90% of the company’s sourcing is Fairtrade. Matthew Algie supplies coffee to the cafe and hospitality sector including Marks & Spencer coffee shops and around 2,500 independent coffee shops, bars and restaurants. 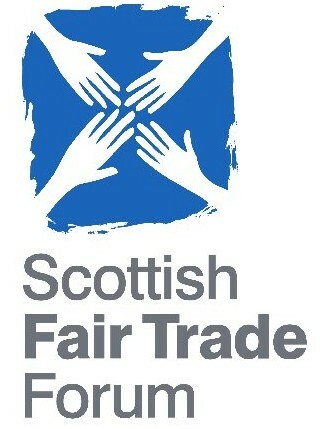 Ewan has worked for the company since joining as a graduate in 1993 and joined the Board in 2002. With a background in food science, he oversees a variety of business areas including roastery operations, quality assurance, green coffee supply chain, R&D and sustainability. 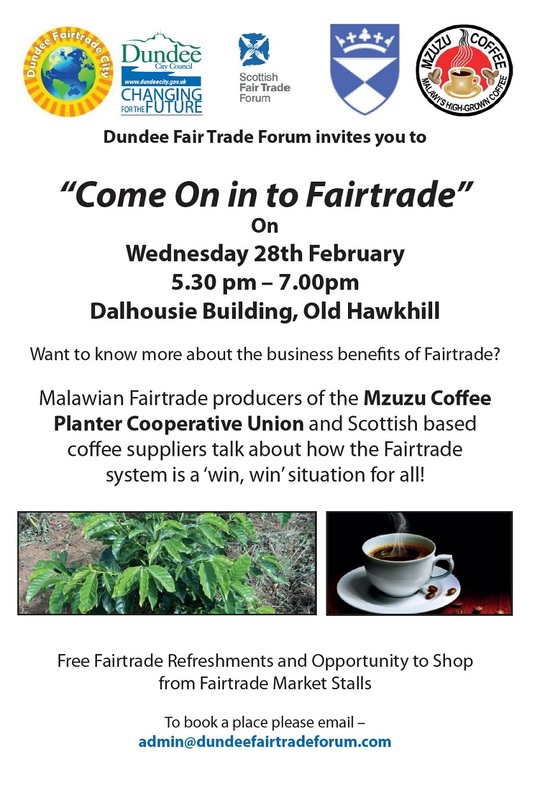 A frequent visitor to Matthew Algie’s supply chain partner co-operatives in producing countries, he is also a member of Fairtrade International’s Coffee Advisory Council. The lecture will start at 6pm and will be followed by Q&A and discussion. 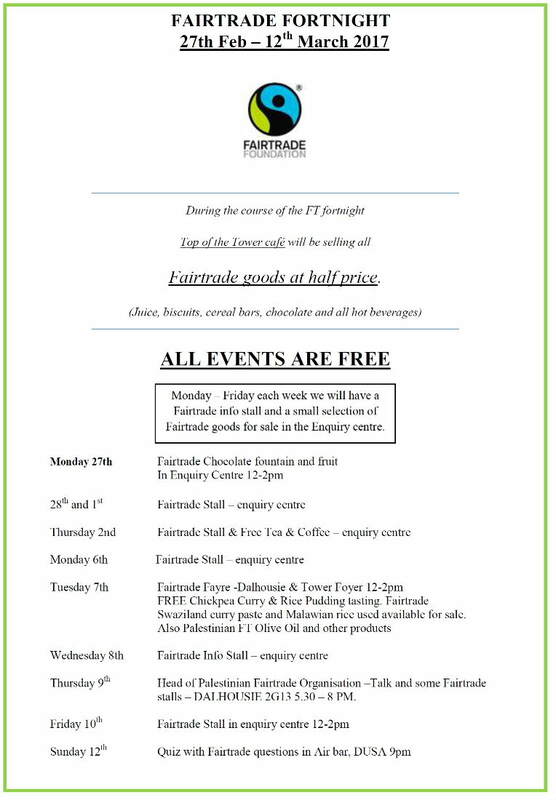 Tea and Coffee will be served from 5.30pm. There will be drinks and refreshments afterwards.